BBQ Tofu and Cajun Rice — Ginger writes. It must be the weekend 'cause I feel a recipe coming on. Even though I make this meal at least once every two weeks, it's doubtful my kids know what it's really called. To them, it's simply "Bauer's favorite meal." What are we having for dinner tonight? they ask. And the answer, Bauer's favorite meal, lets them know what it is, again. The #1 reason I make this meal is because I get tired of eating meat. The #2 reason is that I almost always have all the ingredients on hand, and #3 is that I like knowing there will be leftovers. If I cook this dish on a Monday night, Bauer takes it for lunch on both Tuesday and Thursday of our University Model School schedule. Bauer loves the leftovers cold, and so do I. Sailor eats her dinner on a plate in separate parts: cut-up tofu slices, cajun rice, and no peppers. Truth be told, we're probably reaching our limit on how many more times we can all eat this cheerfully. It has served us well for many, many months now, but I have noticed even Bauer is starting to tire of it. I think I need to cut back to once a month to preserve the positive effects. I'll be happy to think some of you might be cooking it in my place in the coming weeks! I like to give my kids choices, and I like to give my kids broccoli, so even better is broccoli choices! 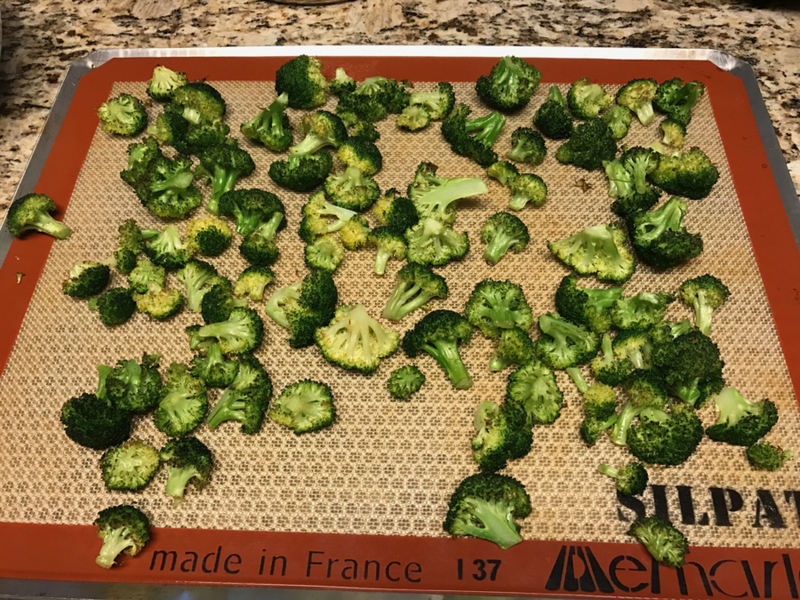 I always cook broccoli to go with the BBQ Tofu, and have recently taken to making both steamed and roasted broccoli simultaneously.